Freedom has its price is the message of this engaging observation on growing up in Poland during the collapse of communism, when the fall of the Iron Curtain let in a flood of long-desired consumer goods from the West – and in too flowed the sweet corruption of consumerism. And so a Polish woman goes through a box of childhood memories to show us how her life and values changed along with those of her country. Fairy tales both imagined and real abound – her father’s bedtime stories about Lenin, a magical first encounter with Nutella and moisturiser, then drink cartons with separate straws. Brooding on the darker side are innovations like reliable healthcare requiring a liberal supply of dollars, dream jobs beckoning through the McDonald’s golden arches or at the supermarket checkout. Meanwhile her father wins the hottest lecturer competition and her mother combines belly dancing with dog pageants. 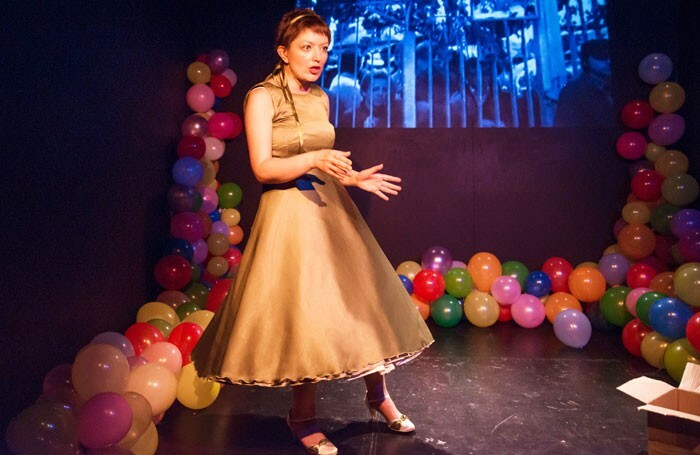 Kasia Lech’s wide-eyed, bubbly delivery guarantees connection with each member of the audience via this strange coming of age tale written by Julia Holewinska and translated by Artur Zapalowski. Launching at times into Polish as haunting music weaves around her, with disarming humour Lech weaves a morality play that sugarcoats the surreal shock of the new and the sobering truth that while society can pass from one bubble to another, bubbles always burst. Deceptively throwaway and essential viewing.